Leading Manufacturer of cross spanner, ring spanner, combination spanner, double open spanner, pipe wrench and jack plane from Jalandhar. 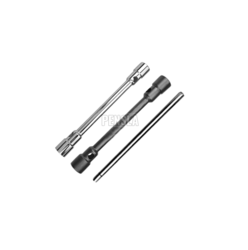 We have been counted among the most trusted names in this domain, engaged in offering a standard quality range of Cross Spanner. 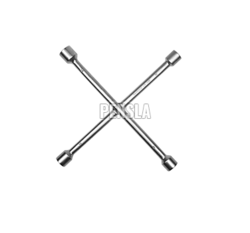 It is also called as Cross Wheel Spanner, 4 Way Wheel Spanner, Etc. Availble with or without Sheet. 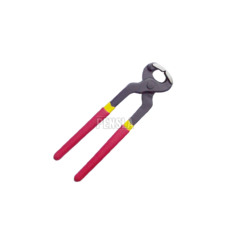 We are one of the leading manufacturer and supplier of the comprehensive range of Ring Spanners . The product is the result of the hard work of our team of experts, who specially designed the product for several operations across industries. 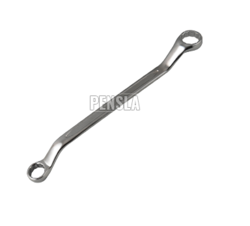 These fully polished and Elliptical pattern Ring spanners are fabricated using high quality raw material. These drop forged chrome vanadium steel spanners are available in Chrome Finish and Satin Finish. 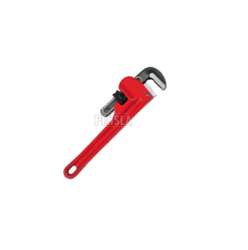 Combination Spanner is made of Chrome Vanadium Steel for extra strength and long lasting use. On one end we have the traditional open end which is used for tightening nuts and bolts and on the other side we have a ring end used for more difficult tightening. Both are the same size, speed and functionality. 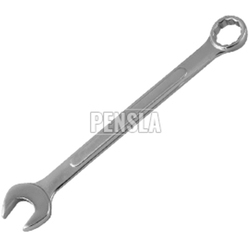 Being a noteworthy enterprise of this industry, we are offering a wide spectrum of Double End Open Spanner. Our spanners are examined on various parameters in order to maintain its flawlessness. The offered spanners have gained exceptional value in the market owing to their enhanced durability. These spanners are available in various customized designing options in order to fulfill the variant demands of our customers. Specification Body is made with Cast Iron & Blade is made with Steel. 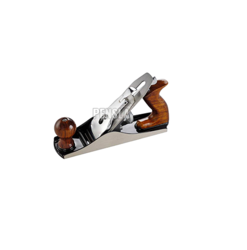 We offer Jack Plane used by professional woodworkers. 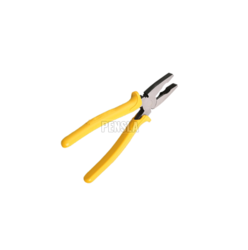 It is used for smoothing of the edges, sizing of wood and jointing edges. Jack planes are about 12-15 inches long, and the blade can have either a slightly circled edge for smoothing stock, or a curved edge for jointing stock. It is also called as Carriage Rabbet Plane, Jack Rabbet, Etc. 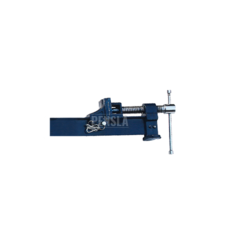 Size 4, 5, 6 Ft.
We are sincerity and hard work of our professionals, we have carved a niche for ourselves in this domain by offering T Bar Clamp. T made from selected carbon steel, fix sliding jaws made of C.I. malleable casting. 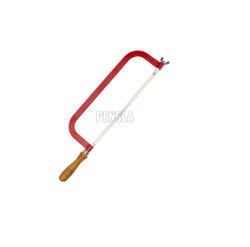 We are counted among the reputed business entities, engaged in manufacturing the best quality range of Hacksaw Frame. Round Type Hacksaw Frame (Heavy) with Bright Chrome Pipe. Round Type Hacksaew Frame (Light) with Powder Coated Pipe. Available with or without Blade. 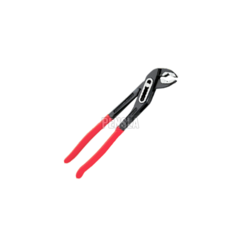 We are dedicatedly involved in providing an excellent quality array of Tin Cutter Plier, for catering the various needs of our clients. Backed by a rich industrial experience, we are engaged in offering a huge array of Tower Pincers to our customers. We are highly commended among our patrons for offering this range. These are made using optimum quality inputs and latest tools. We offer these at market leading rates. 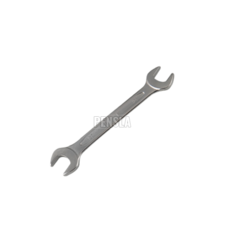 Two Way Solid Wheel Spanner In Best Price. Two Way Solid Wheel Spanner Fully induction hardened & temperred, robust, to be used by heavy commercial & passenger vehicles, in chrome vanadium steel. Anti rust coating . Used for levering and moving objects into place with a lift and swivel motion. Forged from high-tensile carbon manganese steel for maximum strength. Heel offset to 40° angle for optimum lifting. Hexagon bar profile gives greater control and reduces bar roll. Heat-treated blade ends for maximum toughness. Precision heat treated to best suit product application. 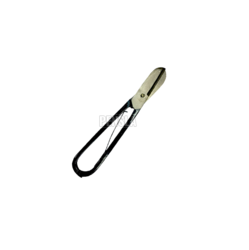 With our in-depth knowledge and experience of this industry, we are involved in providing an supreme range of Halte Tyre Lever. Using quality assured material and innovative technology in adherence to set industry standards and norms, this lever is perfectly manufactured under the supervision of our dexterous engineers. 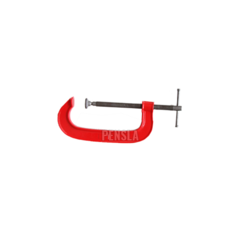 The provided lever is broadly used for mounting and demounting tubeless truck tyres. 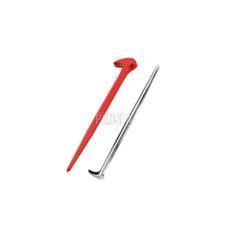 Widely acknowledged for its accurate dimension, this lever is available at an affordable price. 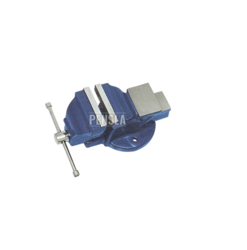 We take pleasure to introduce ourselves as one of the renowned manufacturer of G Clamp. 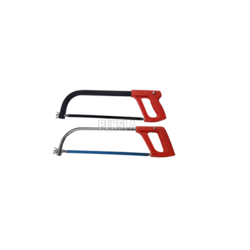 We are counted among the reputed business entities, engaged in manufacturing the best quality range of Tubular Hacksaw Frame. 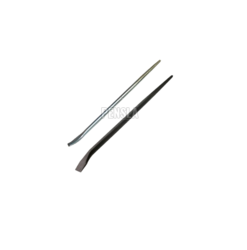 Chrome plated pipe and fabricated steel handle.